on the ceiling, in corners, on the table. Pleasure has brought them to the edge of sleep. Of course, this is not my voice. behind the black curtain that I lean on for support. so that no one else will. It seems the family's children liked me. "Then a heavy silence prevailed." and cannot be weighed down. to a new set of silent listeners. to the one who sent them. when there’s nothing to say. and I will not go to the party. I became no longer indebted to your ears. Another poem by Iman Mersal, about returning to a place where the narrator once lived. Also from Iman Mersal, this poem depicts a friendship. Read more literature from Egypt. "Then a heavy silence prevailed"
An Arabic expression to describe an overwhelming silence. First published in English in the January 2006 issue of Words without Borders -- Words Cannot Be Weighed: Literature from Egypt. This slightly revised translation of the poem is excerpted from Iman Mersal's collection These Are Not Oranges, My Love, published by Sheep Meadow Press in 2008, and reproduced here with the permission of the publisher. Copyright © Iman Mersal 2008. All rights reserved. The poem was originally published, in Arabic, in Mersal's 1997 collection, al-Mashy Atwal Waqt Mumkin (Walking As Long As Possible). Egyptian poet Iman Mersal is the author of five books of poems in Arabic, Characterizations 1990; A Dark Alley Suitable for Dance Lessons, 1995; Walking As Long As Possible, 1997; Alternative Geography; 2006, and Until I Give Up The Idea Of Home 2013. She was an editor for the cultural and literary reviews Bint al-Ard and Adab wa Naqd in Egypt for several years before leaving for North America. 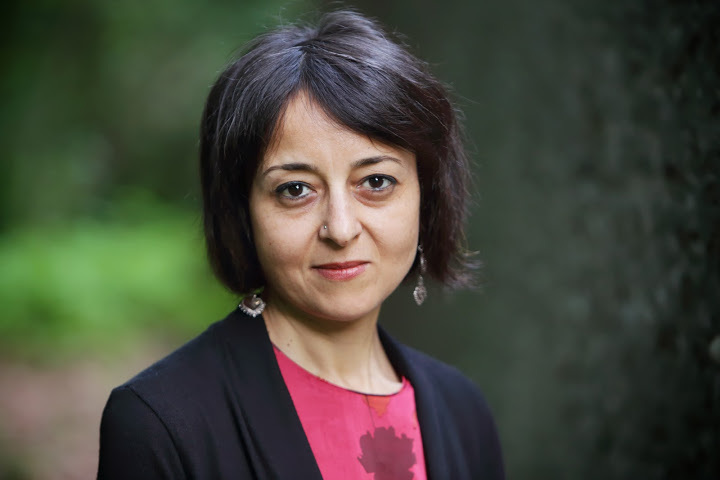 Mersal relocated to Boston, Massachussetts, USA in 1998 and from there to Edmonton, Canada, where she works as an associate professor of Arabic literature at the University of Alberta. Translations of her poems appeared in Paris Review, American Poetry Review, The Kenyon Review and Michigan Quarterly Review. Selected poems from Mersal’s oeuvre have been translated into numerous languages, including Spanish, French, Italian, Hebrew and Hindi. These Are Not Oranges, My Love, a selection of Mersal's work translated into English by Khaled Mattawa, was published by Sheep Meadow, New York in 2008. Forth coming in 2015 from (Dar Al- Tanweer, Cairo & Beirut) is Images of America in Arabic Travel Literature which is based on her dissertation from Cairo University 2009. Mersal was a EUME Fellow at the Forum Transregionale Studien, Berlin, Germany for 2012-13. Read "Things Elude Me," another poem by Iman Mersal, published on WWB Campus. Find out why Mersal identifies as displaced and not exiled in this interview from Poetry Parnassus; she comments on the 2011 revolution in the last question. Look at photographic portraits of Cairo residents: "In Cairo, a Painterly Cast of Characters." "It is as if Iman kills one self so that another can mourn it . . . " Read more about Iman Mersal and her work in the essay "This Is Not Literature, My Love," which also describes what it's like to be a young, single woman in Cairo. Watch a lecture given by Mersal called "Revolutionary Writing and Writing a Revolution." Listen to a This American Life report from Cairo during the 2011 revolution, where "men talk of the nation's future," as in the line in Mersal's poem. Watch translator Khaled Mattawa talk about his work. To learn more about Egypt's history, read this timeline of key events. Read one historian's perspective on modern Egypt's revolutions: "Egypt's Three Revolutions: The Force of History Behind the Uprising." Read more work by Iman Mersal, published in Words Without Borders. Watch Iman Mersal read her poem "The Clot." Watch a video of images set to Mersal's poem, "Alternative Geography." Read the section on Iman Mersal in "The Distant Imagination of the Middle East's Exiled Writers," an article published in The National, a state-run Egyptian newspaper. 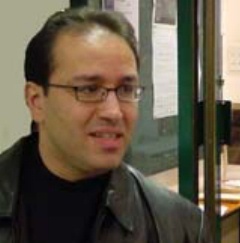 Read about and find more translations by Khaled Mattawa on the Poetry Foundation website. Arabic prose poems were originally inspired by French ones. Read prose poems from Charles Baudelaire's collection, Paris Spleen. Want more? Read the entire book. Learn about and read works of other prose poets who were influences for Mersal: Sargon Boulus, Salah Faik, and Adonis. Find out more about other work by Egypt's (Revolutionary) Women Writers. Read about the history of women in Egyptian revolutions and politics. Read more about being a woman in Egypt in a 2009 article from the New York Times and an NPR story on poor working women. For a post-revolutionary perspective on women's issues and some history of women's rights in Egypt, read "Egypt's Trouble With Women," an editorial in the New York Times. For a different perspective on the hijab, look through photos from “The Wandering Veil,” a photography project conceived of partly in response to the idea that the veil (or hijab) is a symbol of oppression. Read about an Egyptian woman who dressed as a man to find work after her husband’s death and has lived that way for forty years. She was recently named “best mum” in Egypt by President Sisi. Read a 2011 statement in response to attacks on protesters written by US-based Egyptian academics and professionals, including Iman Mersal. Look at paintings, drawings, and sculptures by the contemporary Egyptian artistAnna Boghiguian. Read the essay "Walt Whitman and Me" to learn about the Arabic Romantic poets and their connections to Baudelaire, Whitman, and other poets translated into Arabic.